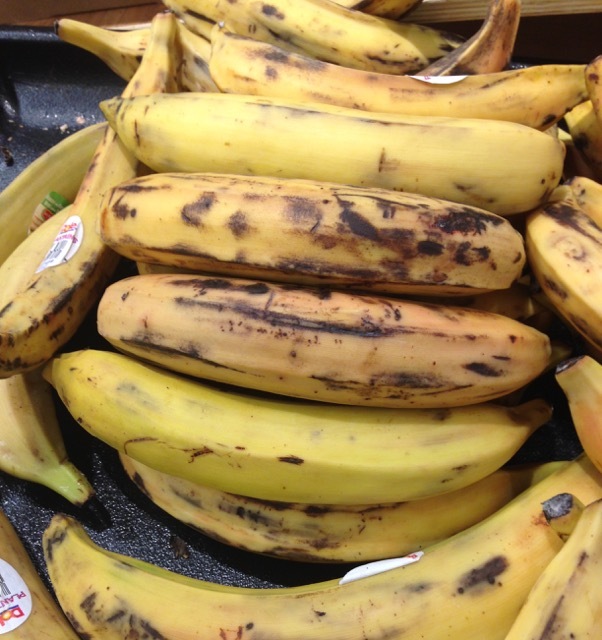 Most plantains are longer and thicker than typical eating (dessert) bananas and are often angular in cross section. They can be green, pink, red, blackish-brown, and black-spotted yellow in colour. 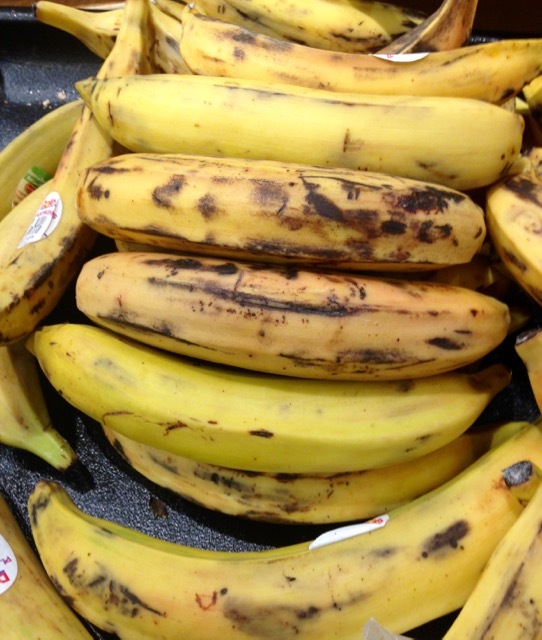 Plantains are more starchy and less sweet than eating bananas. They can be eaten when ripe but are mostly cooked like starchy vegetables (potatoes). Plantains are grown in Africa, especially west and central Africa; Latin America (South America, Mexico, Central America, and the islands of the Caribbean (West Indies) ); India, Malaysia, Pacific Islands. 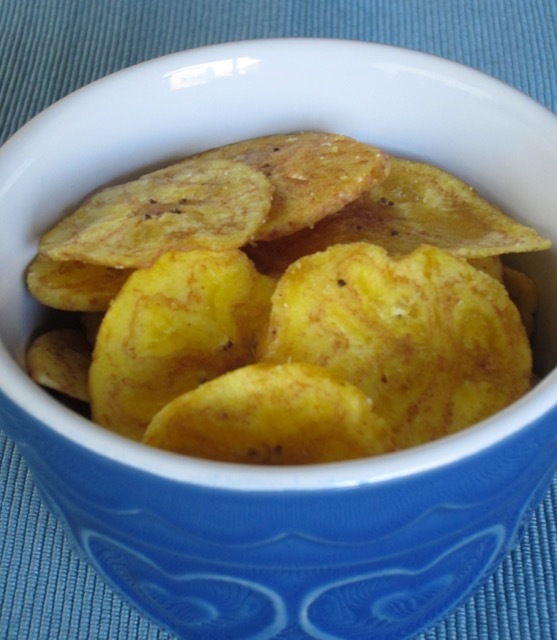 Slices of slightly unripe plantains are gently fried in oil and served as a side. Plantains are used in the North America to make plantain chips. Mountain plantains from the French Polynesia islands are eaten roasted or boiled. Plantains are often dried and powdered to make a light digestible starch called ‘pisang’ in Malay and is used in preparing sweetmeats. Used to make dishes like Laplap (Banana paste in coconut milk) or Simboro (Stuffed banana rolls in coconut) see: A Pacific culinary experience. 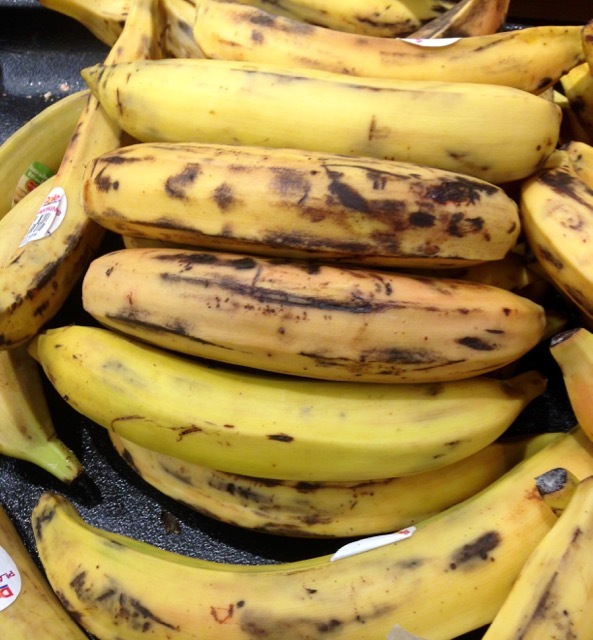 Cultivars derived from Musa acuminata are more likely to be used as dessert (eating) bananas, while those derived from Musa balbisiana and hybrids of the two (Musa acuminata and Musa balbisiana.) 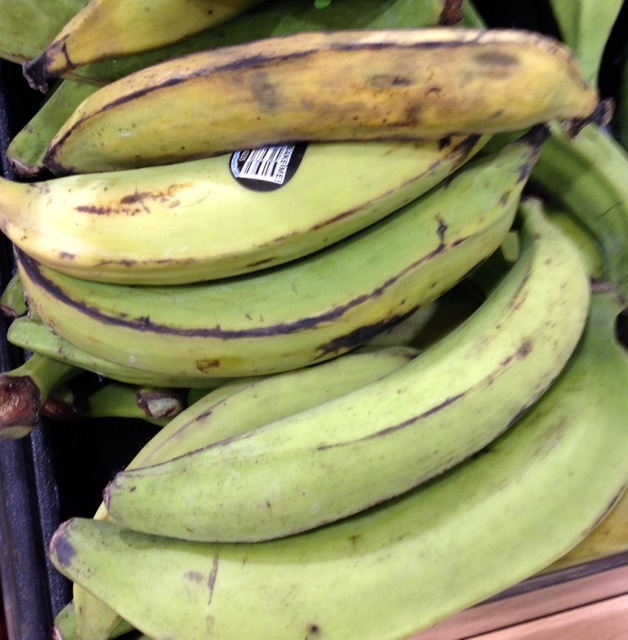 are usually plantains or cooking bananas. Using Simmonds and Shepherds’ (1955) genome-based nomenclature system, cultivars which are cooked often belong to the AAB Group, although some (e.g. the East African Highland bananas) belong to the AAA Group, and others (e.g. Saba bananas) belong to the ABB Group. Prev What is Caraway Seed? I love those mini bananas. They are vey sweet!! !